Your choice of hotel is almost as important as your choice of destination – it can make or break your holiday. 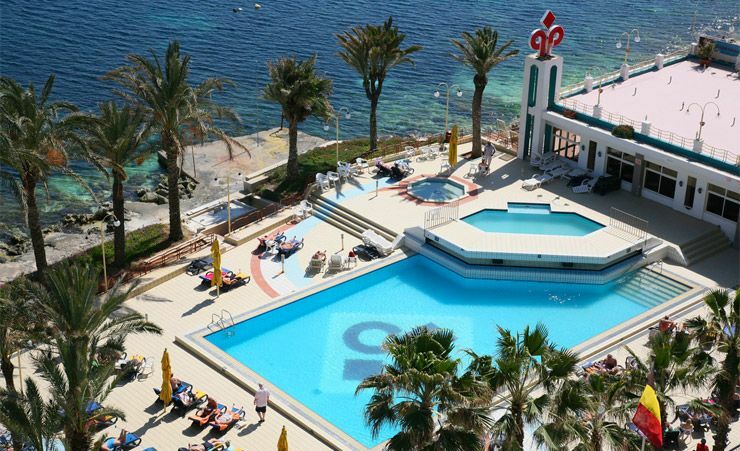 That's why so many holidaymakers in Malta choose the Qawra Palace Hotel, where there's a warm welcome and a relaxed, family-friendly ambience. 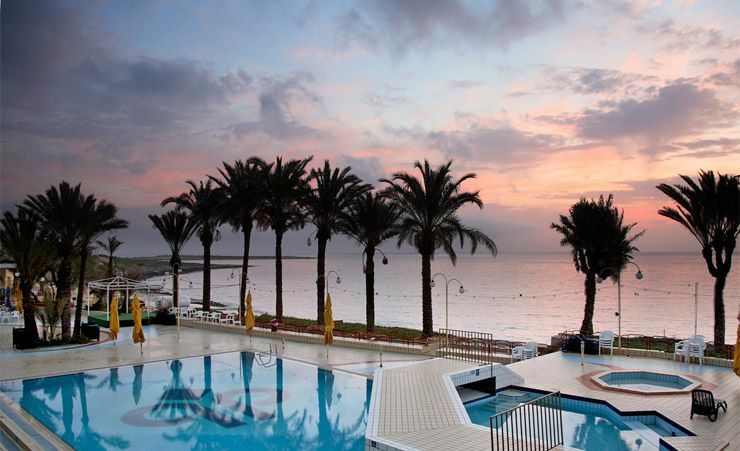 Qawra Palace Hotel is beautifully situated on the Qawra promenade, and affords wonderful panoramic views across Salina Bay. 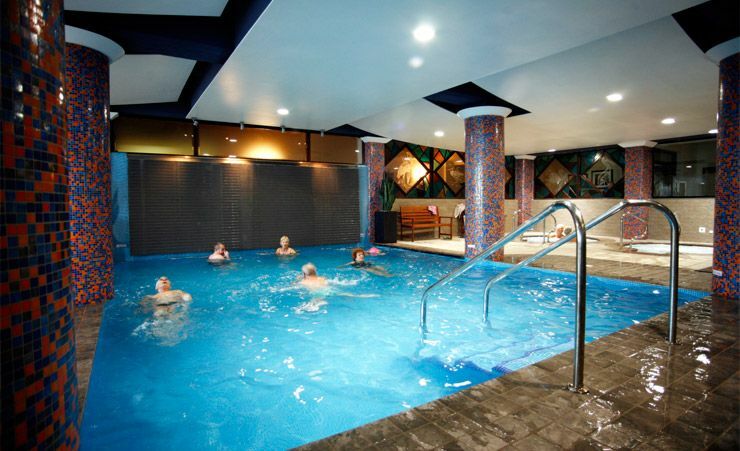 It's the ideal base for a wonderfully relaxing holiday. Shops, bars and restaurants are all within easy reach, as are the famous coastal towers built by the Knights of Saint John, while the hustle and bustle of Bugibba is only a few miles away. 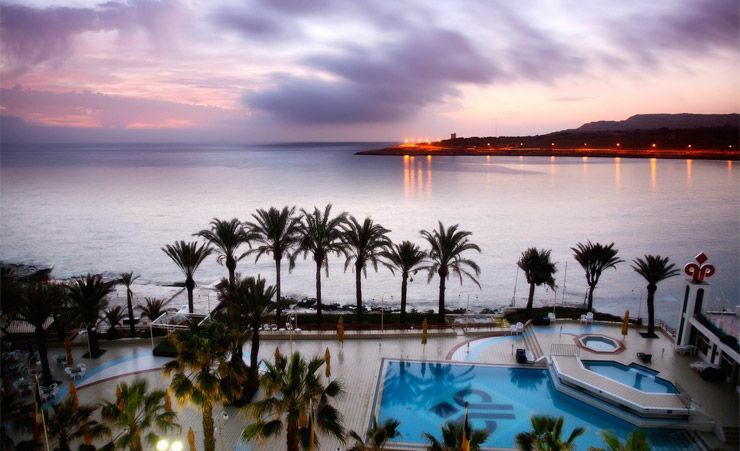 As one of the region's newest resorts, Qawra is a popular destination for holidaymakers to the island. Its modern infrastructure and attractive promenade are home to some excellent hotels, and Qawra Palace is deservedly one of the most popular. 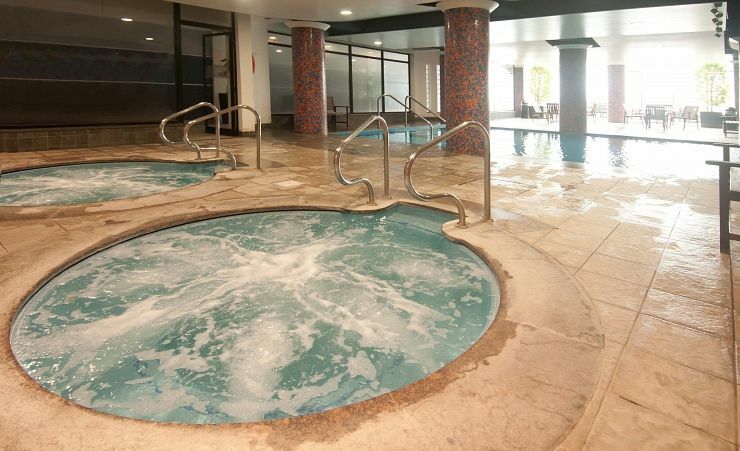 Enjoy the excellent amenities, including an outdoor pool, restaurant, outdoor coffee shop and snack bar. 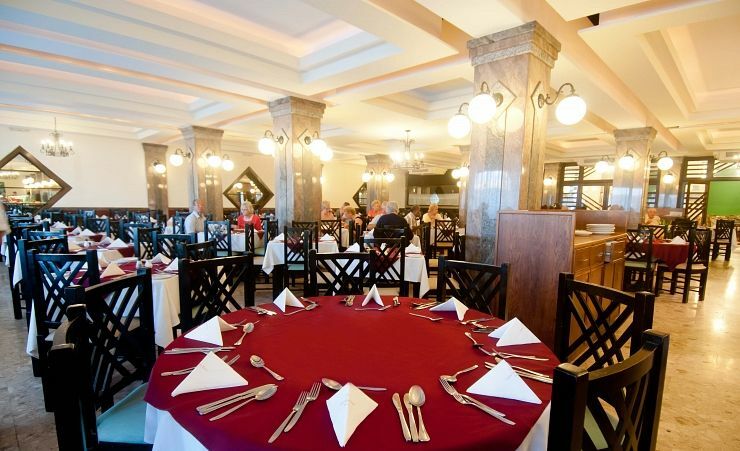 With a terrace restaurant and mini golf course, Qawra Palace Hotel really is the ideal home away from home. There's even nightly entertainment, and at the weekend, you can enjoy a drink or two in the hotel's very own nightclub (just open on Saturdays). 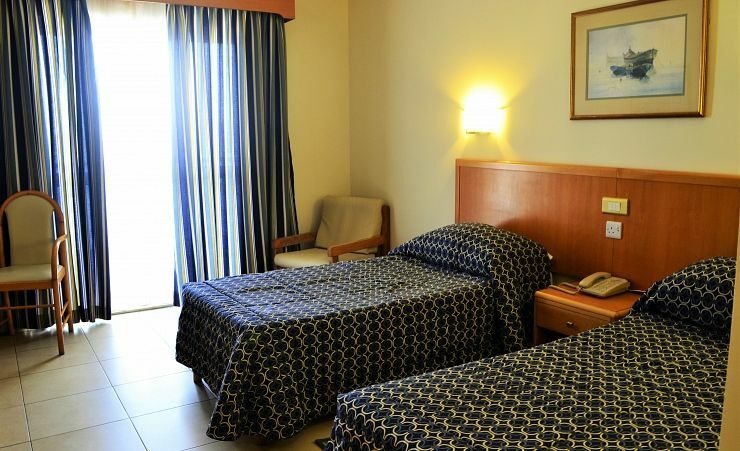 Rooms are all air conditioned/heated and benefit from a balcony, en suite bathroom, hairdryer, satellite TV, safety deposit box (at a fee) and cooler. You can also request a safe deposit box for a nominal charge. And you can pay a little extra to secure a room with a spectacular sea view. Above all, holidays should be relaxing. That's why, at the spectacular Qawra Palace Hotel, everything you need to relax is right at your fingertips. No wonder it's such a popular choice. At the Qawra Palace Hotel, the type of holiday you have is entirely up to you. Explore more of Malta when you book with us by taking advantage of our exclusive car hire deal. For only £25 you will get the use of a category A style car for 3 days allowing you to get around the island with ease. If you want to know more, please speak to our Reservations team. Offer does not include an optional collision damage waiver which can be booked locally for a fee. Please note, terms and conditions do apply with this offer. Add a cruise of Valletta Harbour for only £9pp where you can explore the history of Valletta as well as all the other places of interest which can only be admired from the sea. Please speak to our Reservations Team for full details. Breakfast, lunch, dinner & selected snacks. Unlimited local drinks & a selection of imported drinks. Time & measurement stipulations may apply. 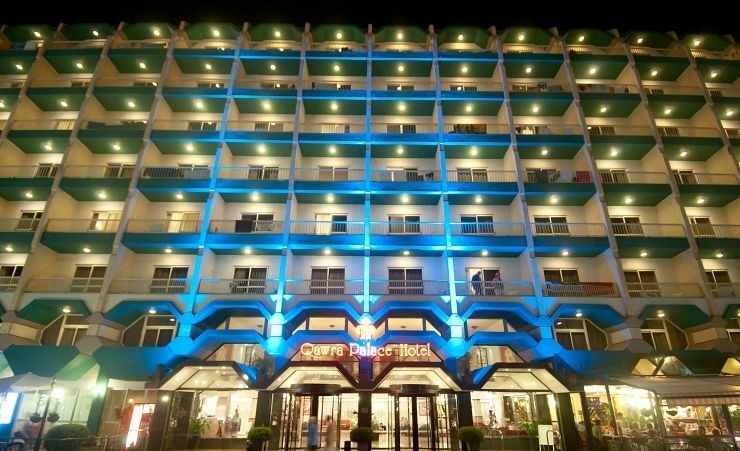 Find out more about your accommodation and the in room facilities at the Qawra Palace Hotel . 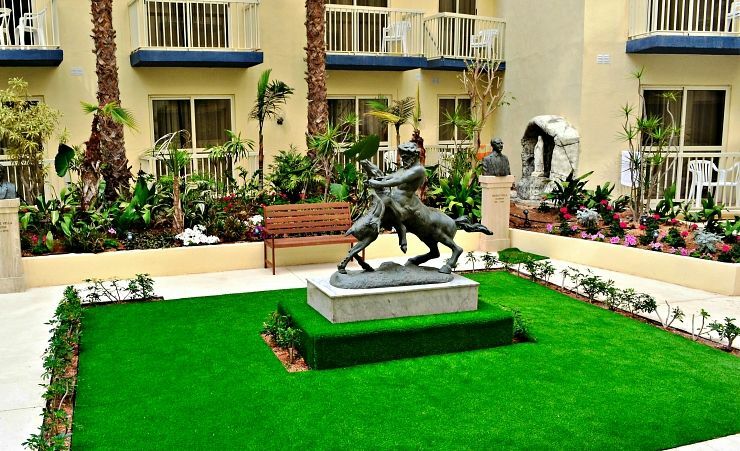 This room has a furnished balcony overlooking the internal courtyard and the mini golf course. All rooms are air conditioned and come with satellite TV and a cooler. Mini Bar service available at a charge. Towels are provided and changed daily. This room has a furnished balcony overlooking the sea. All rooms are air conditioned and come with satellite TV and a cooler. Mini Bar service available at a charge. Towels are provided and changed daily. Very pleased with everything with the hotel, would recommend it to anyone, food, room and facilities all excellent. Very good reps in Malta. Hope to go again with Mercury. Hotel itself absolutely wonderful. Spotlessly clean, excellent service and good food. Assistance at both airports was very good with help from both air malta and Mercury staff. Great holiday, just didn't want to come home. Lovely hotel, great location and really lovely staff. things that were criticised on my last visit - dining room service, room service - were no longer an issue. The room was serviced daily to a high standard. Very happy with the weeks holiday we had at this hotel. An excellent hotel with great food and entertainment. This is the second time that I have stayed at Qawra Palace. It is such a friendly and caring hotel, one to which people keep returning - and especially retired people. It is in an excellent position facing the sea across the road and the outdoor swimming pool is by the sea and it is often very sheltered from the prevailing winds. On a number of days, even during the winter months, it is ideal for sun bathing. The bus stop to many parts of the island across the road from the hotel is handy, but if guests can manage the short walk up Tourist Street to the bus station, they are usually guaranteed of getting a seat. The buses leave a lot to be desired - and so do many of the roads and pavements - watch your step! I am very impressed with your representative, Jonathon. He was very helpful and concise during the next day arrival meeting, giving any information needed and helpful with problems with Internet connection. This is unlike a number of representatives who go on and on about various trips with the hope of getting bookings and this is when the newly arrived guests are tired and wishing to recover from their journey. Probably some of your guests would appreciate the Heritage Malta leaflets. A leaflet for these various events was given to me by one of my Maltese friends. It is excellent. Very helpful staff and holiday rep. Looking forward to booking with you next year. Well done all. Excellent service you did all the work and it all went like clock work. Good people and service. Friendly and good value for money. 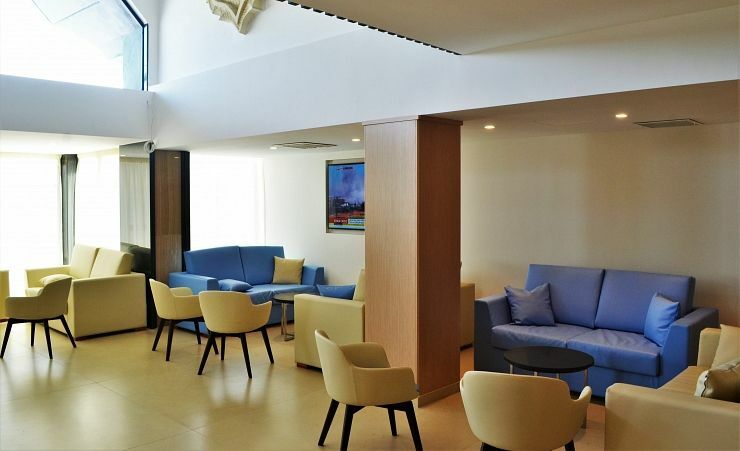 Convenient for bus to Mdina and Valletta. National Aquarium and classic car museum within walking distance. Good hairdresser, spa and coffee shop. Able to change currency and keep room until 2pm for 25euro. Good variety of food. Staff pleasant and helpful. All four of us had no complaints whatsoever regarding hotel.. Daily cleaning service, wide choice of food. Great morning activities, lovely evening entertainment. Great Location, easy transfers.....whats not to like. Excellent hotel, local to the bus station to most routes and a nice area. The staff very helpful. Good value for money. This was our third time at Qawra Palace and was the first time after hotel had refurbished we found all extremely satisfactory and very pleasant. Cafe royals coffee shop was excellent for drinks snacks and lunches at a reasonable price. 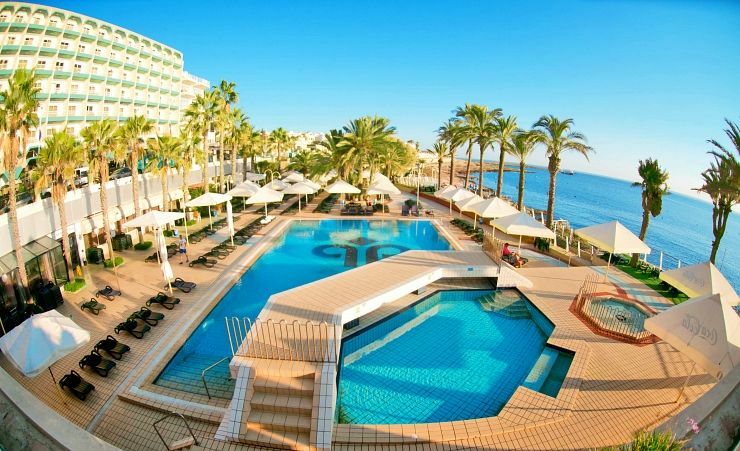 Well worth a visit excellent value for money, lovely pool area with a bar with a great view. room was superb with a lovely bathroom walk-in shower. The hotel is kept spotlessly clean with attention to detail. Overall I had a great holiday there. Staff were very helpful and pleasant. Loved the pool and entertainment area near the sea. Good selection of food and drink. I have been on many of Mercury holidays and stayed in many hotels but this was the best by far. 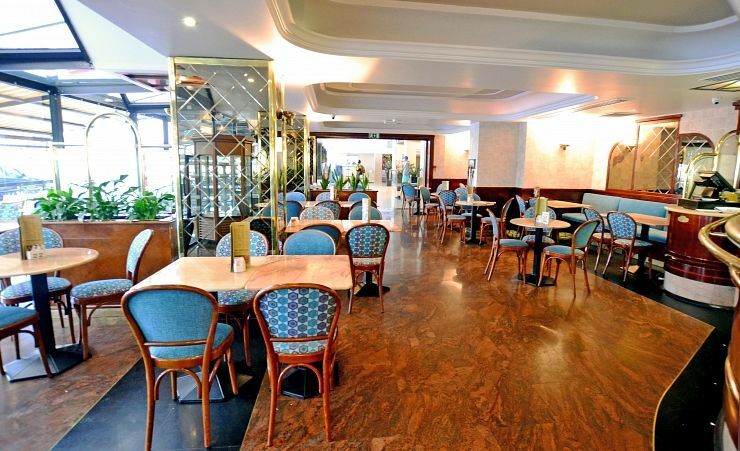 The staff were extremely helpful, they changed my room without question to a great room with fabulous views, the food was good , my waitress Sonia couldn't do enough to make my meal experience very good. The entertainment was amazing, the bar staff in cafe royale were very helpful. All in all I would give this hotel a 10/10 for all departments. 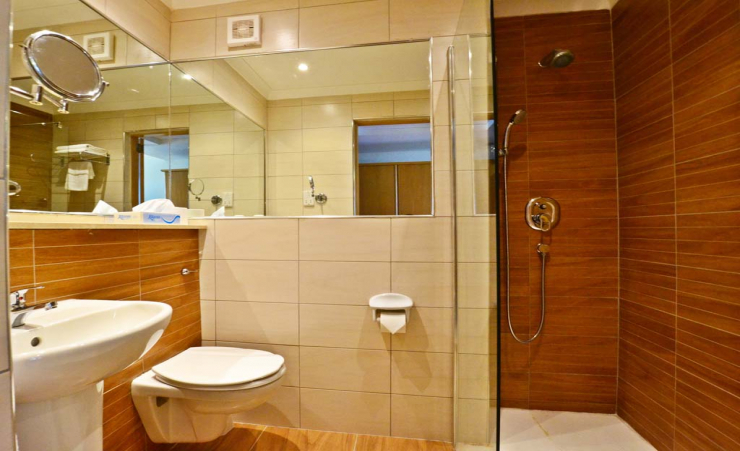 The accommodation was very clean and comfortable with all amenities required available to us. An excellent hotel with friendly and efficient staff. The food was great with meat that was so tender it fell off the fork. Entertainment every night with the Maltese Marching Pipe Band performing on the last night followed by a disco and dance. Great!!! first time been this hotel staff very heipful holiday rep very imformitive. good choice in restaurant will come back next year, hotel room very good thanks. 2nd trip to Qawra Palace and we will visit again. Such a comfortable, easy holiday. Some reception staff were quite fierce but some went out of their way to help. Any queries were always dealt with speedily. Nice Hotel in nice location. Staff pleasant and helpful. Thank you for giving me room requested. A real joy to stay at the hotel. We were looked after very well by the friendly and efficient staff. Nothing was too much trouble for them. The staff were fantastic especially Elena who kept our room perfect and her lovely sunny smile every day. The hotel is one of the best we have stayed in. All the staff were really friendly!! Lovely lively hotel 3 time we have stayed. A party of 5 with ages ranging from 48 to 83. Very Good value for the money, entertainment with various singers & bands every evening. Very friendly and helpful staff. We will stay again here. very good value . Great food, very clean everywhere and very helpful staff. Hotel was excellent. The meals were fine considering the number of guests being served. The hotel was very full the first weekend. Always come to the same hotel. Retired widow and feel safe. I prefer to get private taxi transfer. Enjoy food, always something I like and do I do try other things. Entertainment good. I prefer half board because I only drink occasionally. all of the staff on the reception were excellent . Very friendly hotel, food excellent, rooms clean, what more could you ask for. Friendly staff, very good accommodation good food. Love the sea water pool . This hotel provides everything I require for a holiday, as far as I am concerned everything is to a very good standard. We thoroughly enjoyed our week at the Qawra, hotel based on an older generation which suited us fine, but as this was out of season maybe in the summer attracted families. The staff were always courteous to us especially Ruth in the restaurant, always a smile and nothing too much for her. In general staff were polite, our room was lovely, overlooking the bay and pool. Nice place to go and rest in lovely surroundings, would go there again. Overall impression of hotel was very good, excellent location. Wasn't impressed with quality of food in restaurant, however there was always a varied selection, so we never went hungry. If we returned to this hotel we would ask for a sea view and pay the extra. The sun shone everyday apart from one, we had a great holiday and saw so much of the island. Food excellent, plenty of choice, all inclusive was superb! All was pretty well at the Qawra Palace, all staff were helpful in all aspects, and queries put to them. The cleaning and the dining room staff were nice and always happy and smiling. Always a good sign that all is well how the hotel is run. I would return to the hotel for further holidays. We enjoyed our stay and for what we paid the hotel was excellent value for money. Staff were friendly and always willing to go that extra little bit to help. I had a fantastic holiday and will definitely be booking to go back to the same hotel next year. The representative was very friendly and efficient and everything worked like clockwork. I am very pleased with the holiday overall, the flight, transfer, tours that were arranged and the accommodation overall. Excellent, thank you. Very impressed with the service overall. 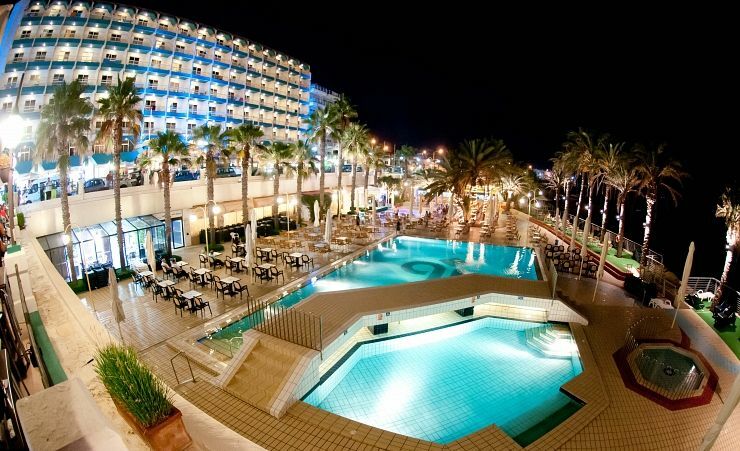 Lovely hotel, great position overlooking the sea with very helpful staff. The hotel sparkled with cleanliness and there was a bus stop outside the hotel which was very handy. Nice friendly Hotel in a good location. Reception staff all pleasant and helpful. Never having travelled with Mercury Holidays before, we were all impressed with the service and will certainly travel with you again. 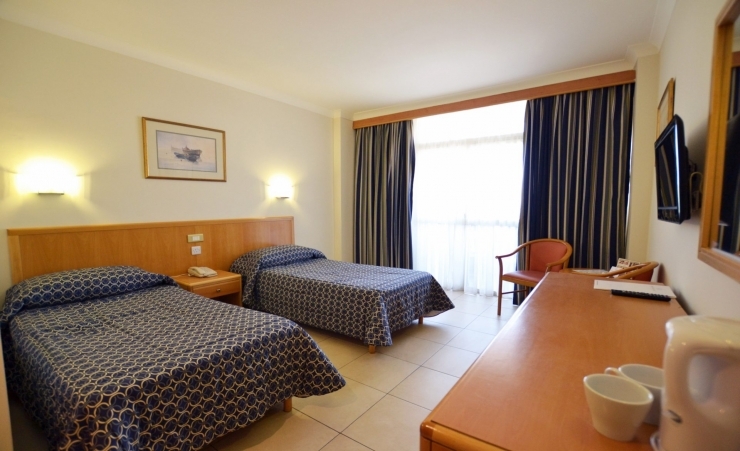 Well-positioned hotel in a quieter area of Malta but close to all facilities. Food and All-inclusive was excellent. Excellent organising by Mercury Direct, again! Never had a problem in all the times we have holidayed with them. Have been going to this hotel for about 5 years. The recent makeover is a big improvement. The staff are pleasant. plenty of variety on buffet meals even for vegetarians. We always get a sea view room as it's right on the seafront. 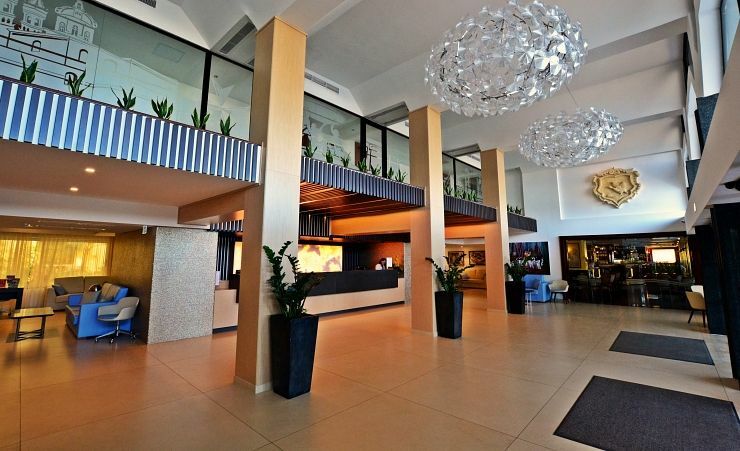 We found the hotel to be excellent and it generally met our expectations. The flight out with air Malta was excellent and their service was the same. Had a lovely time. Hotel was lovely and staff all helpful. Rep Eleanor was brilliant. I've stayed at the Qawra Palace several times previously and I continue to be pleased with the very good levels of service in all aspects, particularly since last year's major refurbishment. A very good holiday and we will certainly revisit the hotel again next year. A first class organisation thanks. There is no need for anyone to go hungry at Qwara Palace! A very good hotel with polite and friendly staff. I was very impressed with the quality of food on offer. I feel I have had an excellent value for money holiday taking into account the central location of the hotel and it's staff and facilities. It was also good to travel with British Airways. I am writing to you in reference to our stay at the Qawra Place Hotel. It is not very often that I write to compliment people with the service they have given me but on this occasion I feel the need to do so. With respect I must admit I had never heard of Mercury Holidays therefore was a little reluctant to book ours with you for my wife and I to Malta. How wrong was I! My wife phoned to book our holiday and the gentleman on the other end could not have been more helpful. He talked my wife through everything and our holiday was booked within 15 minutes. We received regular updates about our holiday and we were checked in by yourselves for our outbound flight. We were met at Malta by a rep who directed us to our awaiting transfer. On arrival at our hotel, Qawra Palace, we were checked in by very helpful and polite staff. We were met by Eleanor on the Sunday and she made us feel welcome The hotel was clean and the staff were very friendly and accommodating. The food was extremely good with a lot of choice. Prior to departing Malta, Eleanor took our details and checked us in for our return flight. Everything went like clockwork. Our private taxi back to the airport was very good with the driver being extremely polite and knowledgeable, whilst telling us a lot about the history of Malta. All-in-all our holiday went perfectly. Would I book with you again? Without a doubt! Would I recommend you to all my friends and family? Certainly! So please pass on our thanks to all concerned for their excellent work and professionalism they all showed. Excellent value for money. Room was clean and comfortable and definitely worth paying extra for a sea view room; amazing views at sunrise and sunset! Staff very helpful and attentive. Food was excellent; amazing variety and tasted great. Third time at this hotel excellent as always. Staff very friendly and can't do enough for you. Definatly recommend will go back next year. A very friendly hotel , we would definitely go their again.